Attended a ladies luncheon today which was just like being in a tea room! The hosts’ home was decorated to the hilt with candles which she had painted in Mod Podge and then rolled in cinnamon or ground coffee beans. She had found quilted pillow shams which she used as table runners. 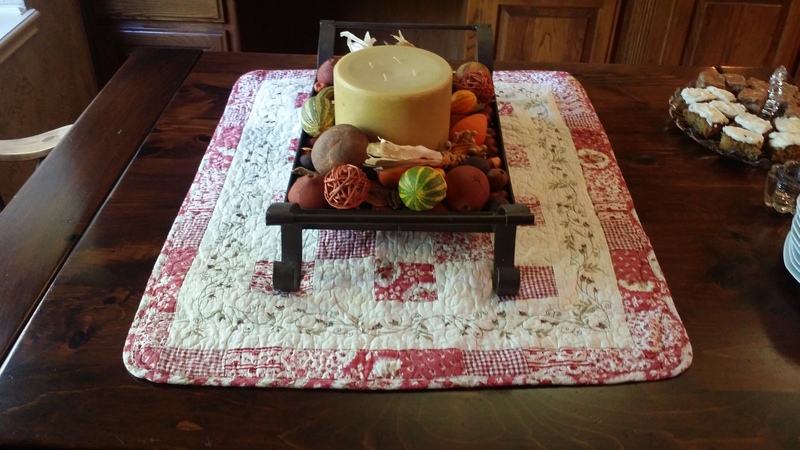 When the ladies were going around admiring all the Fall décor, we began to ask her about the table runners which held such beautiful Fall decorations. Her response was such a great idea to keep in mind. When she goes to Home Goods, Dillards or other stores which carry linens, she goes to the clearance aisle. When they have shams which don’t have a pair, they are always marked down really low and she buys them to use as table decorations. What a great idea. 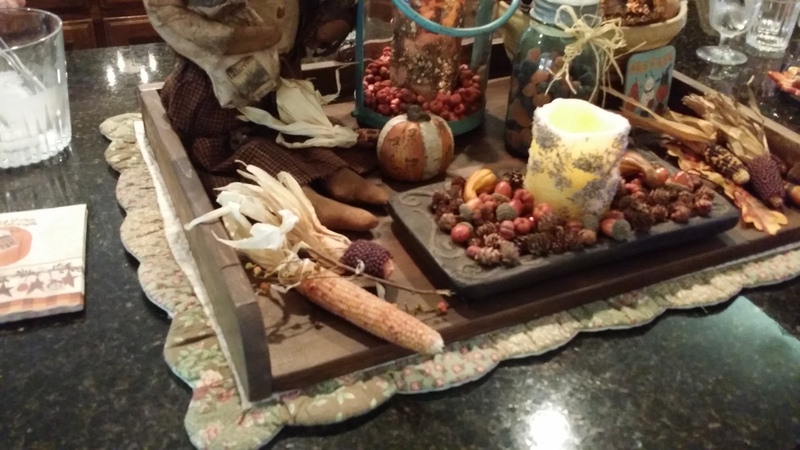 Below are pictures of how she used them and what a awesome way to display seasonal decorations. The food was amazing and the sweet time of fellowship with the 9 ladies gave us all a wonderful memory to take with us before a most busy time of year begins. Thank you Ms Perfect Host and thanks for so many great decorating ideas!